Home » Car Audio and Video » What are Crossovers? Believe it or not, there is a lot more that can go into a sound system than a headunit, speakers, subwoofer and amplifier. One such piece is a crossover. A crossover’s basic function is to take a single signal and split it up into multiple signals of specific frequency bands, low range, mid-range and high range frequencies. 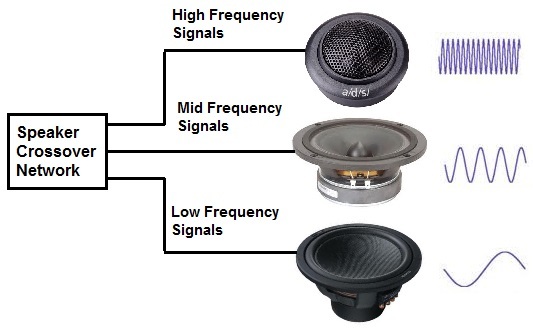 In a car audio system, the crossover then sends those frequency bands to the correct speaker (low frequencies to your subwoofer, mid-range to your speakers and high range to your tweeters). Without a crossover your system would waste a significant amount of energy trying to play frequencies it isn’t designed for, your subwoofer will be trying to play notes intended for your tweeters and vice-versa. This results in poor overall sound quality and can also be potentially hazardous to your system. Because of this, nearly every sound system will have some kind of crossover built-in. Now, as with all other aspects of your car’s sound system, your system can get by with its existing crossover, but if you want your system to truly reach its potential you’re going to need to add an aftermarket crossover. Active vs Passive: What’s the difference? There are 2 types of crossovers you can have in your system, an active crossover or a passive crossover. Passive crossovers don’t need a direct power source to filter signals while active crossovers need power and ground connections. The type of crossover you want really comes down to one thing, how much control do you want over your listending experience? Passive crossovers are unpowered and use capacitors and inductor coils to separate the sound frequencies for your system. A good example of a passive crossover is the crossovers that come with a component speaker system. 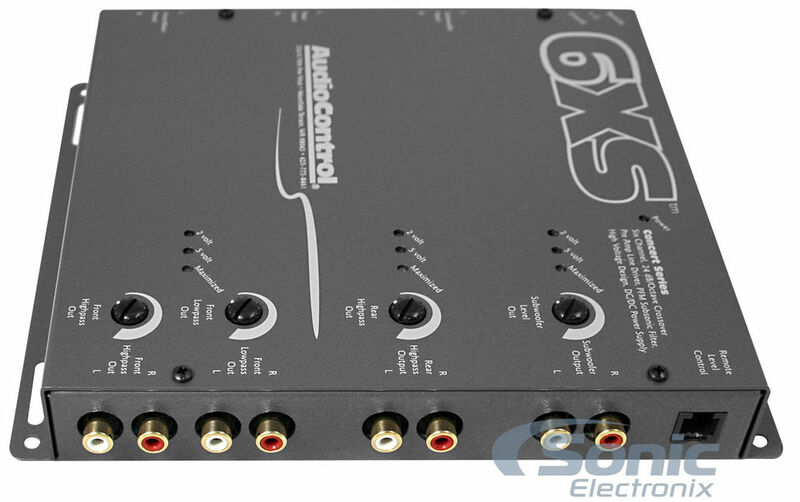 Passive crossovers are wired in-line between the speakers in your system and the amplifier (or source). The passive crossovers that come with your component system come tuned and ready to be installed. 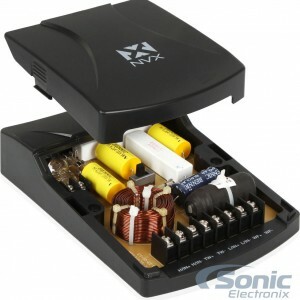 One drawback of these crossovers is that because they are located after the amplifier, they waste power filtering a signal that has already been amplified. Another form of a passive crossover is the in-line crossover. An in-line crossover can come in a few different forms. One can essentially look like a AA battery with an RCA connection on either side and connects to your amplifier’s RCA inputs. Other in-line crossovers will protect your speakers from unwanted frequencies when used after the amplifier by separating the frequencies before they reach the driver. The biggest tradeoff with a passive crossover is ease of installation while sacrificing some flexibility in your system with the loss of sound customization. Unlike passive crossovers, an active crossover requires a direct power source. 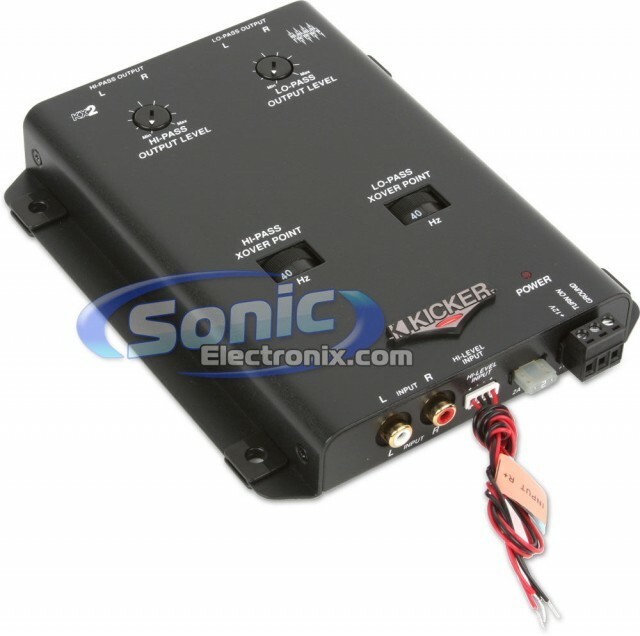 Active crossovers are installed between your receiver and amplifier. As a result of this, active crossovers filter your frequencies before they reach your amplifier which means there is no wasted energy filtering amplified signals. Active crossovers also usually feature a variety of adjustments, including gain controls, low pass and high pass filters while select active crossovers feature built-in equalizers to give you the ultimate control over your system. The only real disadvantage to an active crossover is the installation. 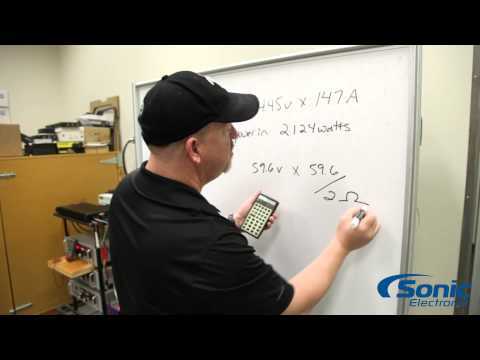 Since an active crossover has to have a power, ground and turn-on connection it has the potential to complicate your install more than a passive crossover. However, if you’re interested in making your system really sing, an active crossover is a must-add piece. Next What are Bass Restoration Processors?